It’s the birth date of the first American to receive a Ph.D. in science history. I’m surprised how recently he lived. I figured science historians have been around almost as long as science and history – but I. B. Cohen, born March 1, 1914, died in 2003. His start at science history sputtered around unfocused for a few years. From Long Island, at age fifteen, Cohen entered New York University but dropped out after one semester. A brief attempt at veterinary medicine at an agricultural institute followed, then a stint at the Valley Forge Military Academy. 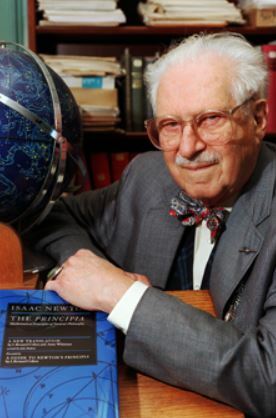 He was 19 when he entered Harvard as a freshman in 1933 to concentrate in mathematics. He moved into Harvard’s newly formed History of Science and Learning program as a graduate student in 1937, getting his doctorate ten years later, in 1947. Long before his thesis was complete, he published his first book, Experiments and Observations on Electricity (1941), which grew out of his interest in Ben Franklin’s experiments. Cohen’s second book (Some Early Tools of American Science) came three years after his doctorate. Then it was back to Franklin again, with Franklin and Newton in 1956. I. Bernard Cohen’s amazing publication pace lasted his entire life. But he was also a teacher and, in his habitual checked sports jacket, was considered a somewhat flamboyant showman in the courses he taught. For two decades he also chaired Harvard’s History of Science department. Active in historical societies, Cohen received a lifetime achievement medal from the History of Science Society in 1974. Although his 60 years of publishing focused largely on Franklin and Newton, his browsing interests ranged from the history of numbers to industrial age lab equipment. Not all his interests were locked in earlier centuries – he understood Einstein and relativity and, in fact, Cohen’s April 1955 interview with Albert Einstein was the last Einstein gave before his death that same month. While writing and teaching, Cohen also consulted to IBM on their history of computers project for a few years. That work eventually led to a popular book about computer pioneer Howard Aiken, released in 1999. A year after retiring from Harvard in 1984, he released Revolution in Science, one of the two I.B. Cohen books which I have read and studied. My own history of science background is weak – I took a single (fascinating) undergraduate course while working on my geophysics degree. I have tried to fill some of the cracks in my education with books such as Cohen’s treatise. 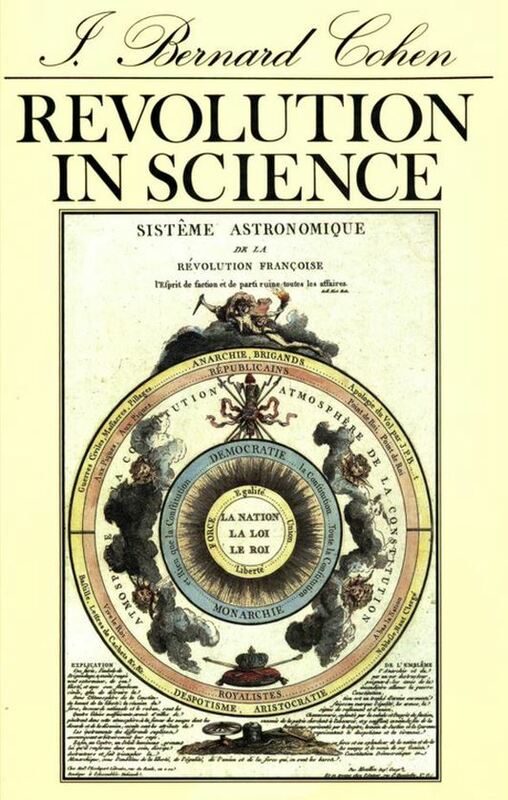 I strongly recommend Revolution in Science, one of the most lucid I’ve encountered from a science historian. Revolution in Science begins with a brief overview of Cohen’s position that scientific revolutions are more transformational than revolutionary, then works through major discoveries and their impacts, beginning with Copernicus and ending with plate tectonics. The book was written in 1985, so genomes, computers, the internet, and some other recent themes are absent. But this does not detract from the books message regarding the (sometimes slow) cultural transformations evinced by scientific “revolutions” and the simultaneous role played by society and culture upon scientific investigation. This entry was posted in Biography, Book Review, Culture, History, Philosophy and tagged Ben Franklin, Bernard Cohen, I. 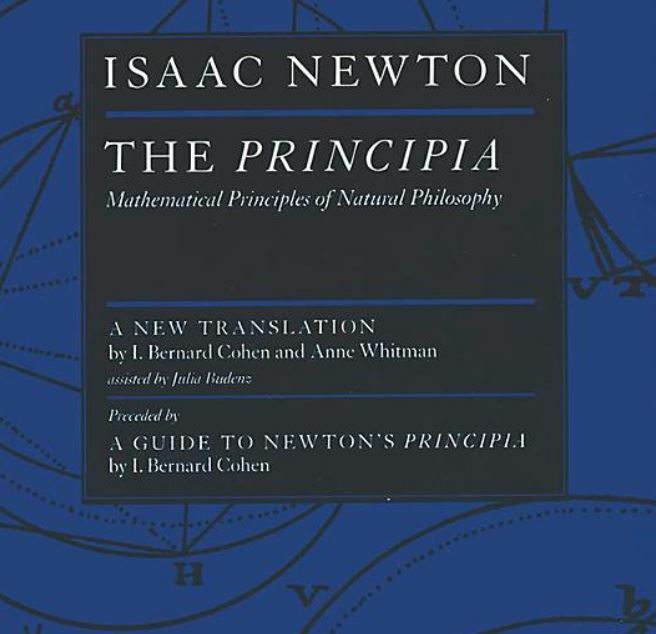 B. Cohen, Newton, Principia, scientific revolution. Bookmark the permalink.